Crédit Agricole Payment Services (CAPS), a fully-owned subsidiary of Crédit Agricole, and Wirecard have signed a contract to start their digital partnership in payment services. After first starting initial negotiations in December 2017, the parties are now defining the next steps to get multichannel solutions up and running. 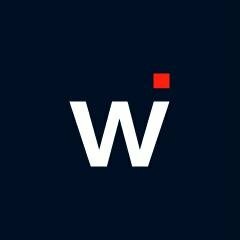 CAPS and Wirecard say they will provide new e-commerce acceptance and acquiring services across Europe, available at the beginning of 2019. Bertrand Chevallier, CEO of Crédit Agricole Payment Services, says this partnership “will enable both companies to grow in a rapidly changing market”. The deal will also “reinforce” the development of mobile point-of-sale (mPOS) and other point-of-sale (POS) solutions. In addition to new customer acquisitions, CAPS explains that it will offer its existing clients the possibility to combine their existing POS solutions with online and mobile offerings. France-based CAPS says it has a market share of almost 30%. The company processes over ten billion transactions per year and issued 19 million cards in 2017.